Canker sores are a common problem in general dentistry. Most people will have canker sores at least once in their lifetime. They are often mistaken for cold sores or fever blisters. Whereas the latter is known to be associated with the herpes virus, canker sores are not contagious and usually occur inside the mouth near the lips, under the tongue or gums. Canker sores can be extremely painful. They are different types of canker sores and they all have different set of symptoms. Most people will experience minor canker sores. 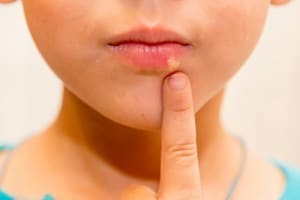 These canker sores are small, oval shaped with red edges and they will generally go away within one or two weeks with no need for treatment. The other type is the major canker sores which are very painful and can last up to 6 weeks. The major sores are not only larger in size but also leave some significant scarring when they heal. They are round shaped with irregular edges. The last group of canker sores are the herpetiform canker sores. These ones are usually common among older adults since they develop due to aging. This type of canker sores are not caused by the herpes virus. They usually occur in clusters of up to 100 sores which can merge and form one large ulcer. This type of sores have irregular edges and can heal within one or two weeks without causing any significant scarring. Should you visit the dental office Richmond Hill if you have canker sores? Injury to your mouth after having dental work done, participating in contact sports or an accident. Allergies: Some individuals experience allergic reactions that form bacteria in the mouth that cause canker sores to develop. Hormonal shifts: There are hormonal imbalances that result in canker sores especially during menstruation. Conditions and diseases: Individuals who are suffering from conditions such as celiac disease, inflammatory bowel diseases and HIV/AIDS can also have canker sores. Diseases that suppress the immune system can result in canker sores. Canker sores have been thoroughly covered in family dentistry so your local dentist will have the best treatment option for it. If you are having serious pain or discomfort as a result of canker sores, it is important to see a specialist immediately. Various forms of treatment are administered for this condition including mouth rinses that help to fight bacteria that causes the sores to develop.